Cross-sectional image of the carbon nanotubes. (Phys.org) —Access to safe drinking water is a step closer to being a reality for those in developing countries, thanks to new research published today in Nature Communications. The study paves the way for the next generation of portable water purification devices, which could provide relief to the 780 million people around the world who face every day without access to a clean water supply. An international team of researchers – led by Associate Professor Hui Ying Yang from Singapore University of Technology and Design – showed that water purification membranes enhanced by plasma-treated carbon nanotubes are ideal for removing contaminants and brine from water. The team included Dr Zhaojun Han and Professor Kostya (Ken) Ostrikov from CSIRO's world-leading Plasma Nanoscience Laboratories. According to Dr Han, these membranes could be integrated into portable water purification devices the size of a tea pot that would be rechargeable, inexpensive and more effective than many existing filtration methods. Contaminated water would go in one end, and clean drinkable water would come out the other. "Small portable purification devices are increasingly recognised as the best way to meet the needs of clean water and sanitation in developing countries and in remote locations, minimising the risk of many serious diseases," Dr Han says. Cross-sectional image of the membrane. "The large industrialised purification plants we see in other parts of the world are just not practical – they consume a large amount of energy and have high labour costs, making them very expensive to run." Dr Han acknowledges that some smaller portable devices do already exist. However, because they rely on reverse osmosis and thermal processes, they are able to remove salt ions but are unable to filter out organic contaminants from the briny water found in some river and lake systems. "For people in remote locations, briny water can sometimes be the only available water source," he says. "That's why it's important to not only be able to remove salts from water, but to also be able to put it through a process of purification." "Our study showed that carbon nanotube membranes were able to filter out ions of vastly different sizes – meaning they were able to remove salt, along with other impurities," he says. According to Professor Ostrikov, the other downside of existing portable devices is that they require a continuous power supply to operate their thermal processes. 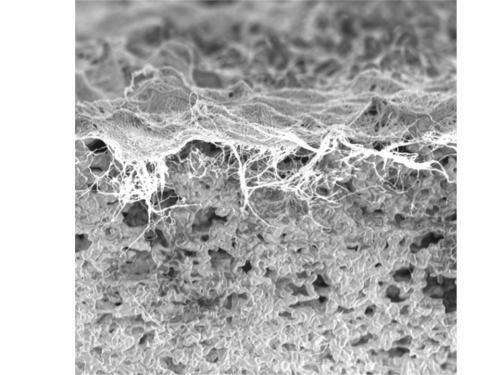 "On the other hand, the new membranes could be operated as a rechargeable device." Professor Ostrikov attributes the success of the new membranes to the unique properties of plasma treated carbon nanotubes. "Firstly, ultralong nanotubes have a very large surface area that is ideal for filtration. 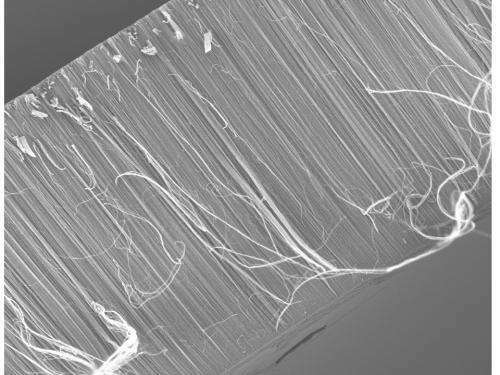 Secondly, nanotubes are easy to modify, which allows us to tailor their surface properties through localised nanoscale plasma treatment," he says. Now that the researchers have proven the effectiveness of the method, they plan to extend their research to investigate the filtration properties of other nanomaterials. They will begin by looking at graphene, which has similar properties to carbon nanotubes, but could be made considerably denser and stronger. The study 'Carbon nanotube membranes with ultrahigh specific capacity for water desalination and purification' is a collaborative work between Singapore University of Technology and Design, CSIRO, Massachusetts Institute of Technology (MIT), the University of Sydney, and Hong Kong Polytechnic University.